I’m not at TNNA…at least not in person. But I’m there in spirit! 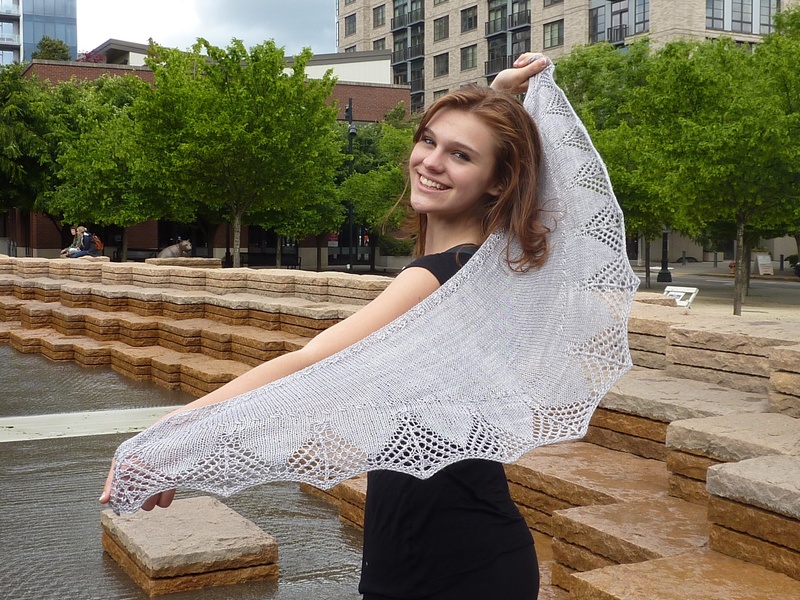 My Filigree Shawls are at Knitted Wit’s booth for Sample It. Lorajean just snapped this pic for me. This is my scarf design that I reworked with a crescent shawl shaping to showcase Knitted Wit’s beautiful Shine yarn (50/50 merino/tencel). I liked the scarf, but I love the shawl. 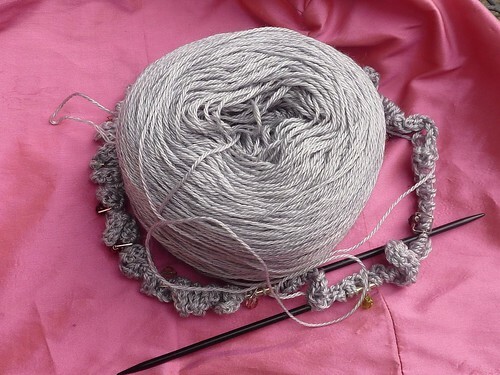 Shapings for scarf and shawl are both included in the pattern. 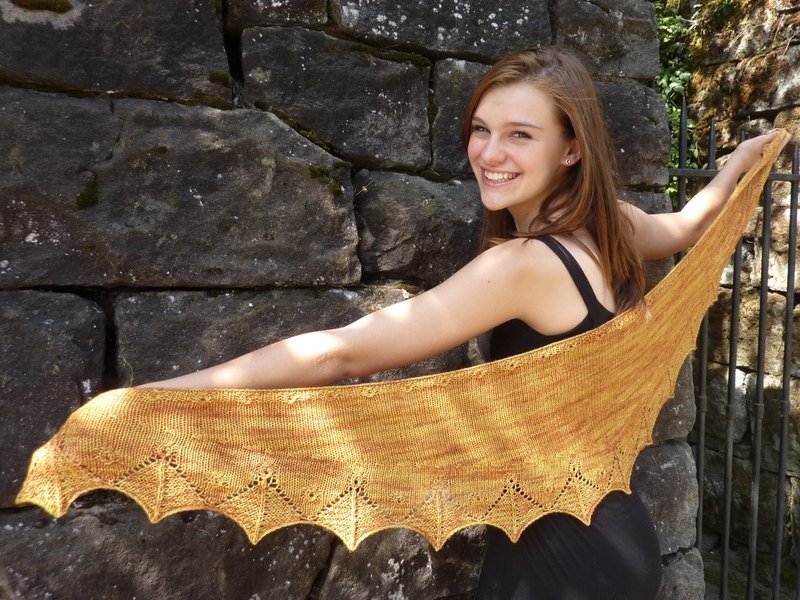 The shawl comes in two sizes. 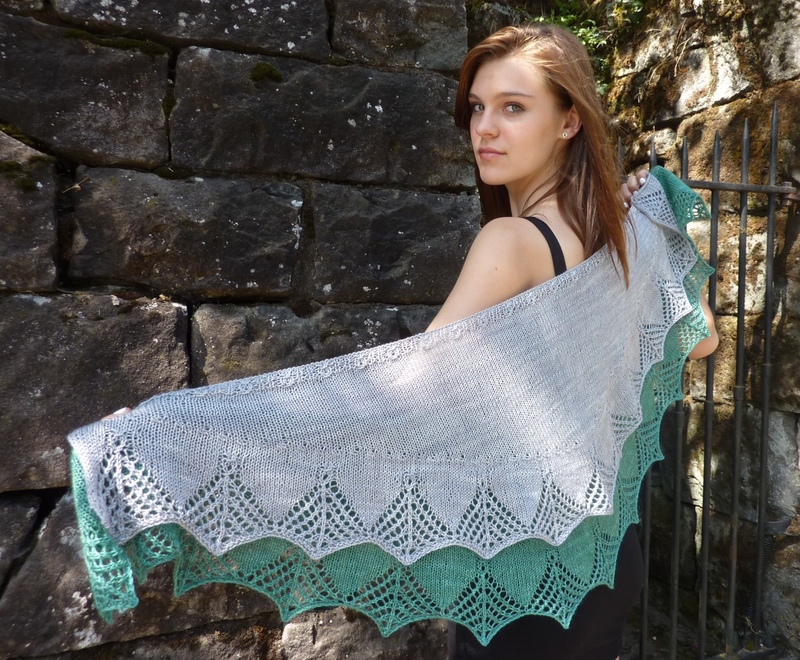 I love its sister shawl and scarf, Webfoot, too. 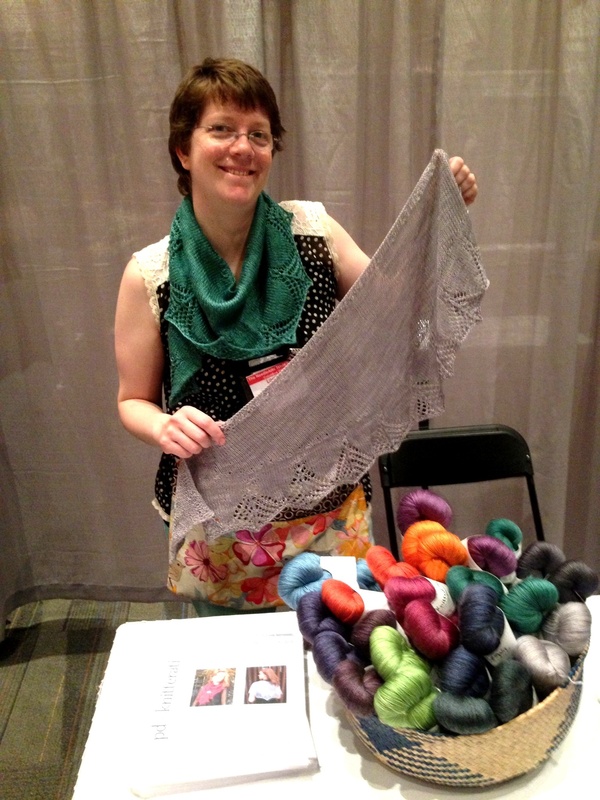 If you’re not at TNNA, you can still knit your own. I’m knitting one for me, right now. This entry was posted in Knit, pattern design, yarn and tagged filigree, Knit, Sample It, TNNA. Bookmark the permalink. So pretty. I’m sure the pattern will be a hit there! Thank you! LJ reports that we did well!